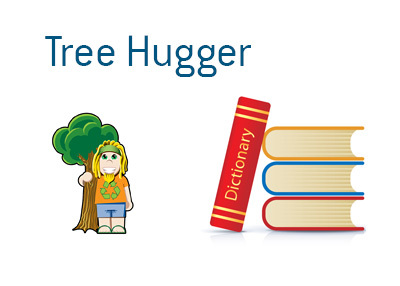 Tree Hugger - What Does It Mean? What does the term "tree hugger" mean? What is the definition of the term "tree hugger"? The term "tree hugger" is used to derisively describe a person who cares deeply about environmental issues, especially those issues that involve the cutting down of trees. For instance, in order to try and halt clear-cut logging, an environmentalist might do something extreme like chaining themselves to a tree. This is how the term "tree hugger" came into existence. "Tree huggers" believe that corporate interests shouldn't be favored over the environment. These people argue that the destruction of the Earth will be almost impossible to reverse and that major changes need to be made immediately.